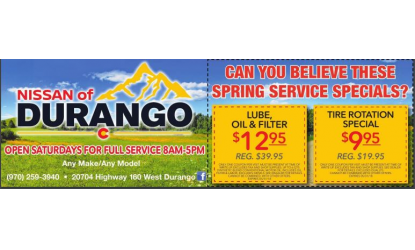 You may have heard your friends and neighbors talking about Nissan of Durango. That’s because we strive to be a better kind of dealership. Whenever someone gets in touch with us, whether in person, online, or over the phone, we go the extra mile to ensure they get everything they need and have a great experience in the process.